Feeling the Love from NY Now Market! Awwwww. Thank you, NY Now Market, for honoring me as the first of the Best Blogs covering last month’s show on your 100 Days of Design website! 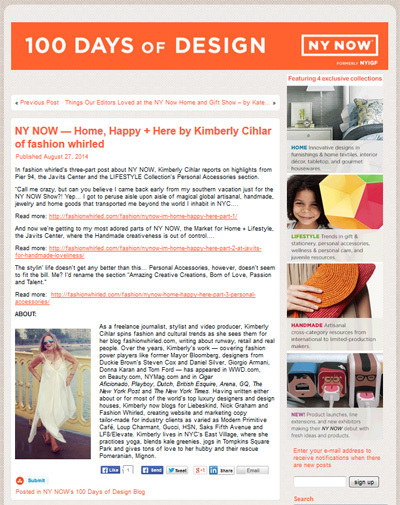 NY Now Market’s 100 Days of Design blog featuring me and my work! 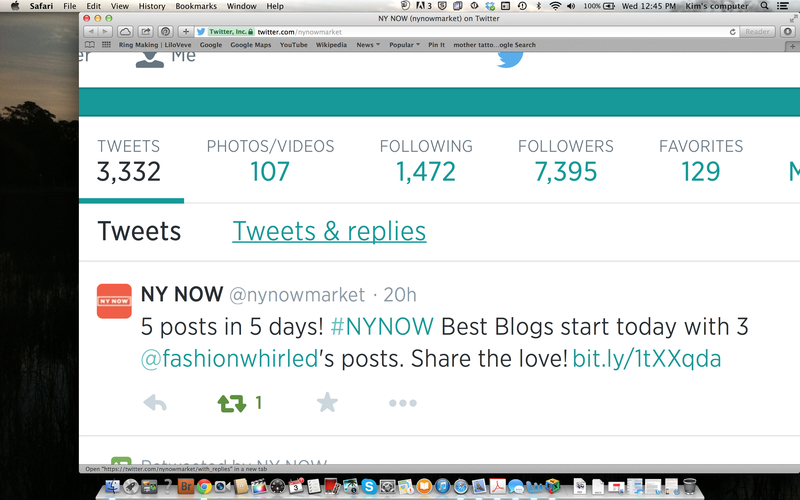 NY Now spreading the love with this tweet!